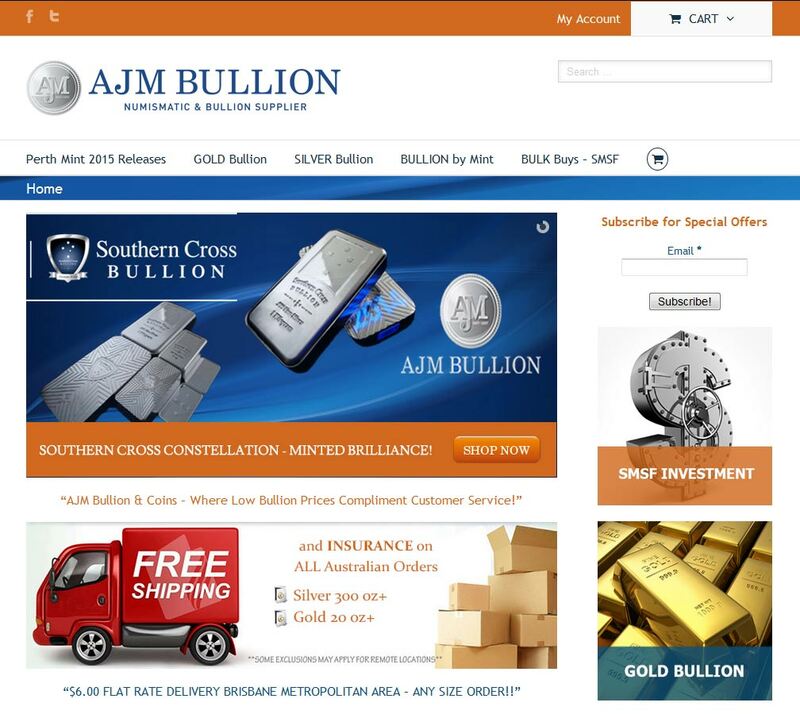 AJM Bullion is an independent bullion supplier of Australia, shipping products worldwide. Our strategic goal is simple – ‘providing easy access to investment grade gold, silver and other precious metals, as well as numismatic products with genuine service and honest prices. AJM Bullion & Coins are a national online precious metals dealer principally selling investment grade bullion bars and coins alongside selected numismatic coins. With some excellent prices on bulk orders AJM are clearly targeting the SMSF market. 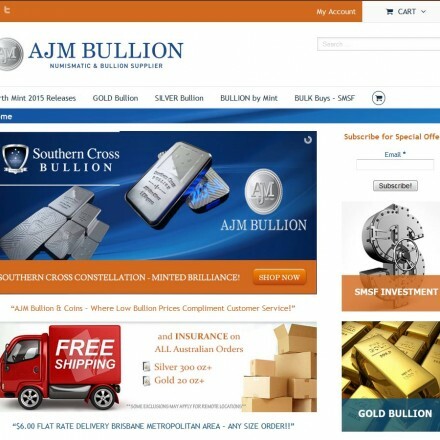 When doing business with AJM Bullion and Coins - please say you saw them in Bullion.Directory. Read or add AJM Bullion and Coins reviews and ratings using the "reviews" tab above. All AJM Bullion and Coins details are believed to be correct at the time of listing. Please report errors here. I find it hard to believe I am the first to rate this company. I have dealt with dealers all over the world and buy many kilos of silver annually. This is the first company that has ever ripped me off. I was able to claim back nearly half my money by winning a case through paypal but am still out of pocket by over £300 despite ajm claiming to return it but haven’t as yet. This has been ongoing since January when I first asked where my product was sent in November. They then ignored me completely until I threatened to go to the regulatory authorities 2 months after my first email and a week after closing the case with paypal. Unfortunately I now have to go to the authorities as I will not condone theft as I promised to do. I have had enough excuses and stalling.